What Are PopSockets PopSockets are expanding grips and stands that attach to most phones, tablets, and cases. Add a single PopSocket, or a pair of PopSockets, to the back of almost any mobile device to transform its capabilities. PopSockets "pop" whenever you need a grip, a stand, an earbud-management system, or just something to play with. Remove your PopSocket by pulling slowly on the base; you can reposition and reattach time and time again. You'll always have the exact grip or stand you need. PopSockets not only make terrific phone grips and phone stands, they also make holding tablets and e-readers more comfortable and secure. Whether you place PopSockets on your Nintendo 3DS for gaming, your GoPro for a supplemental grip in the water, or on your bedroom mirror to hang jewelry, the possibilities are endless. If you attach two PopSockets to your device you now have a convenient earbud-management system. Simply wrap the cord around the two PopSockets, and voila! No more tangly mess to deal with. Never Lose Grip on Your Phone or Tablet Again! 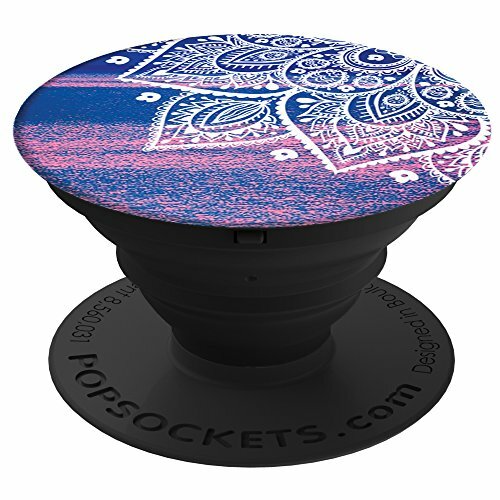 Click "Add to Cart" now to get your PopSocket expanding grip and stand.